Only when a village plan becomes a reality can you marvel at its effectiveness! When Convergence Benburb , a 4-metre high bronze structure inspired by heritage and industry arrived in the village it provided a link to the past and a vision for the future. A key priority of our village plan was to develop community cohesion by providing people with opportunities to work together, on a new project, titled “ReImaging Benburb”. A working partnership between key stakeholders in the village emerged to secure funding from the Arts Council NI. Everyone both young and old were welcomed to workshops hosted by Susan Connolly (Artist/ Facilitator). Susan discovered through story/ objects/ images the hidden secrets and lost history of life in the village. The aim was to encapsulate this with modern life to develop a brief for a future artist to design a piece of visual art for the village. The chosen brief was “a meeting place” to take in the rolling hills and landscape of Benburb Valley. This resulted in the final piece titled “convergence Benburb”, designed and fabricated by the artist Holger C Lonze in 2015. The community consultation process aimed to gauge peoples perception of life in Benburb, to try to encapsulate a vision for the future. 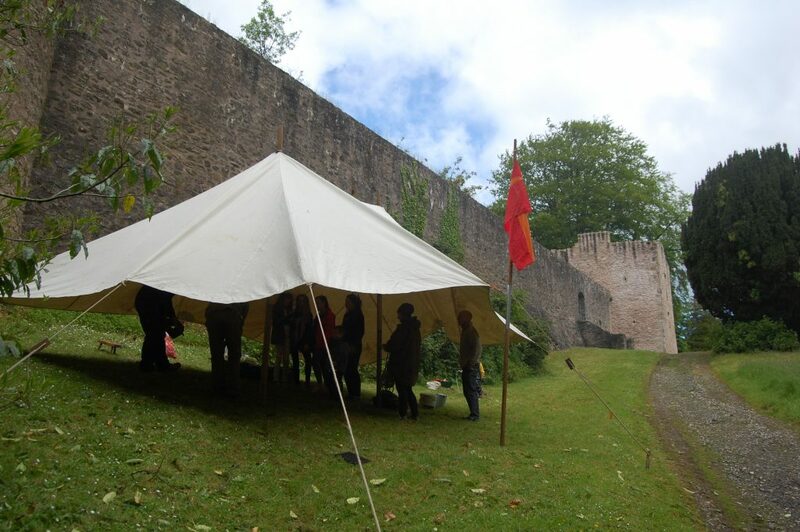 It included focussed workshops to allow people to contribute ideas to help form a brief for a piece of outdoor art in the village. Another workshop involved a group of young people along with James Kane, a local historian who discussed the Bronze Age and its links with the Blackwater valley at Benburb. Each participant created an individual piece representing something you might find in the valley. 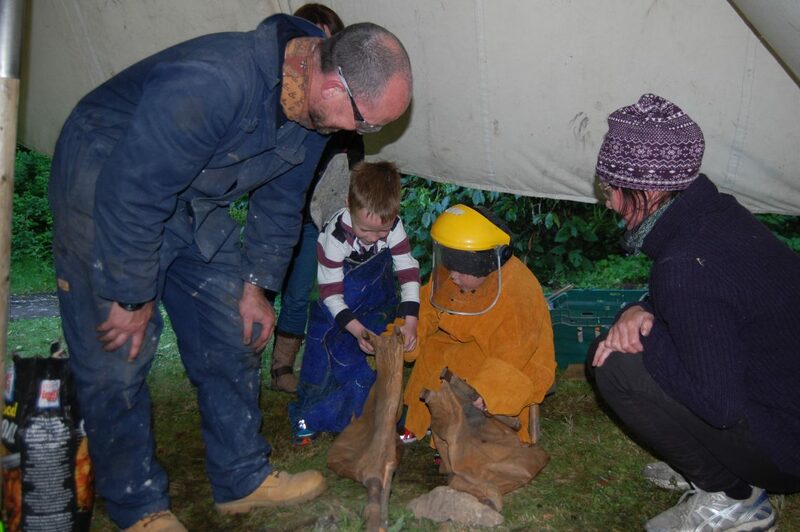 Under the guidance of Holger and Karen they learned traditional skills used in the Bronze Age to create their own waxing, in preparation for a bronze casting that formed markers at the site of the final piece. A local ladies group joined Holger, James and Karen for another workshop to continue the development of a series of waxings to be cast in bronze. 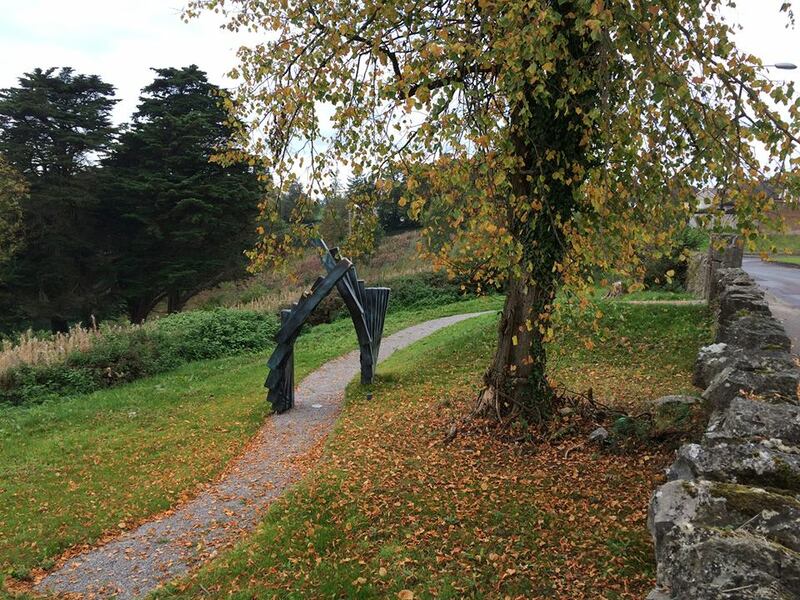 These castings can be viewed along the path through the main public piece “Convergence Benburb” in Benburb. Hidden secrets and lost history of life in the village. The aim was to encapsulate this with modern life to develop a brief for a future artist to design a piece of visual art for the village. 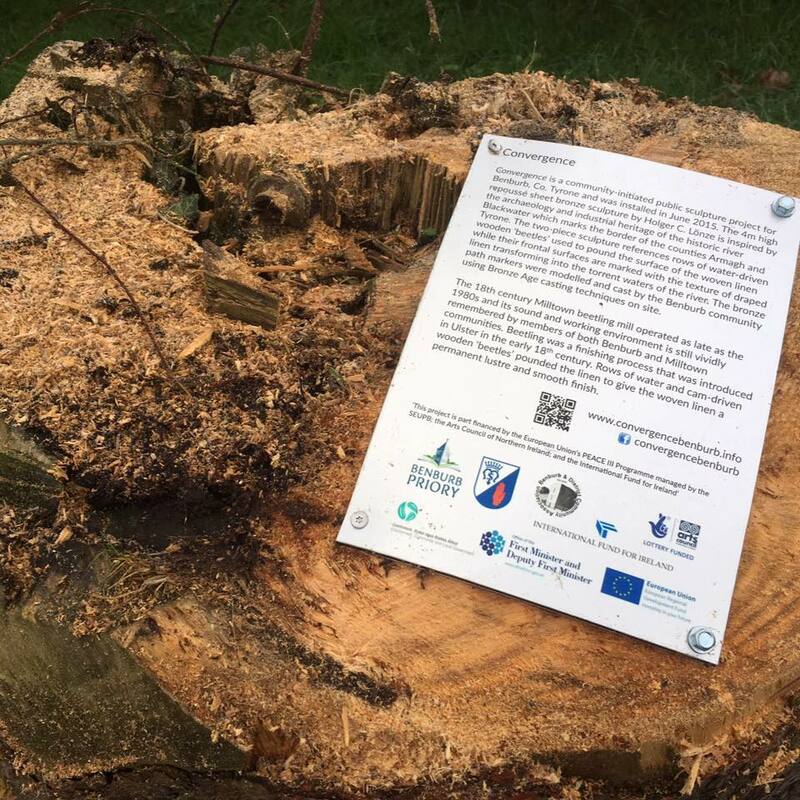 The community consultation process aimed to gauge peoples perception of life in Benburb, to try to encapsulate a vision for the future through this programme. It included focussed workshops to allow people to contribute ideas to help form a brief for a piece of outdoor art in the village. Below you will see the maquette of the final piece. As part of the continued engagement with the local community, some workshops were held in the village. This workshop involved a group of young people along with James, a local historian who discussed the Bronze Age and its links with the Blackwater valley at Benburb. Each participant created an individual piece representing something you might find in the valley. 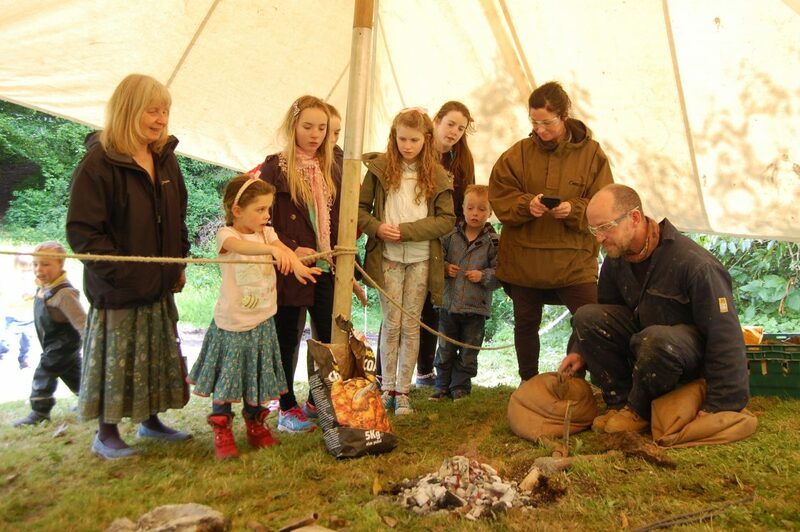 Under the guidance of Holger and Karen they learned traditional skills used in the Bronze Age to create their own waxing, in preparation for a bronze casting that will form markers at the site of the final piece. A group of ladies from the village joined Holger, James and Karen for another workshop to continue the development of a series of waxings to be cast in bronze. These castings will form part of the main public piece in Benburb.